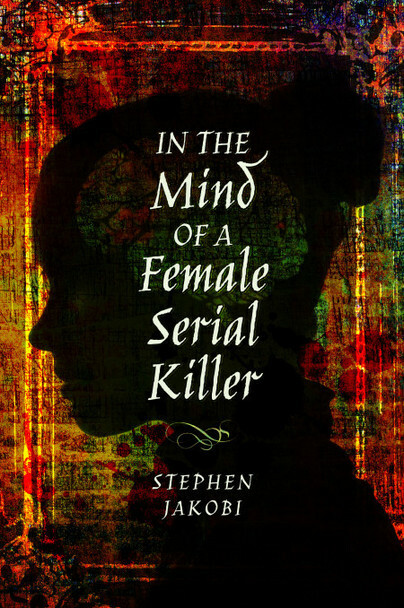 You'll be £12.99 closer to your next £10.00 credit when you purchase In the Mind of a Female Serial Killer. What's this? Stephen Jakobi has written a solid reevaluation of four little-known cases – well, three little-known and in the case of Kate Webster, one reasonably well-known. Of particular interest is what Mr Jakobi describes as “the explanation of one of the key puzzles in the ‘Thames Torso’ murders”. An excellently balanced and unbiased book from which valuable lessons can be learnt. It gives great historical insight into these cases and leaves the reader wondering how many more similar cases may lay uncovered. It is a very detailed and well expressed account into the crimes, conviction and execution of 4 female criminals who all paid the ultimate price for their behaviour. I liked the effort and evidence of research undertaken to achieve what the title sets out to achieve. However, it is the lack of written accounts and eye witness accounts other than some court proceedings and home office 'death files' that restrict the responses to mere hypotheses and conjecture. Indeed, the many changes of name and relationships these women undertook, confuse the most studious researcher and I welcomed the honesty and openness of the author. Stephen Jakobi is an authority on the judicial system and his details about court times and sentencing was appreciated and aided my reading experience. His speculation over the labels we would use today to describe such individuals and the criminality stereotypes was fascinating as was the brief passage on damage to the frontal lobe. He seemed to refute the generalisations that crime is born out of social depravity but there are only 4 cases on which to support this view; but interesting none the less as was the scoring of the emotional disconnect with morality, social empathy and personal responsibility. Great introduction to this aspect of interest for the general reader as well as the more academically minded. It is a book that takes us back into a time when capital punishment existed and executions had only recently been taken out of the public domain. The interest remains in modern TV programmes going into US penitentiaries to talk with convicted criminals. The fact remains however that from this brief study many of these women were compulsive liars and unable to hold to the truth preferring to live in a partial fantasy world. A short book worth spending some time with if you are interested in this subject area. After Cambridge, Stephen Jakobi began a career in industry. His strong belief in justice led him to become a solicitor, working in private practice. In 1992 he founded the Human Rights organisation Fair Trials International and was adviser to the European institutions on subjects ranging from Guantánamo to the European arrest warrant. He was awarded an OBE in 2005. Now retired, Stephen lives with his wife in London, this is his first book.